This is what you can expect for our daily activities. No time to waste! Rise and Shine! We’re going canyoneering. We’ll meet for breakfast at the Buffalo Grille at 7:00 am. After a round of introductions, we’ll get you outfitted for a fun-filled day of rappelling, hiking, scrambling and possibly swimming as we negotiate a real southwestern sandstone slot canyon. 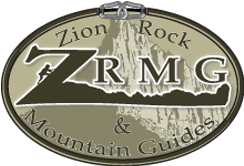 Afterwards, we’ll head back to Zion Mountain Resort for a break. Then we are off to Zion National Park to take in some hikes. Off to the high country. After getting sized for mountain bike and sitting down for breakfast at the Buffalo Grille we will shuttle our way north through scenic Southern Utah on our way to Navajo Mountain where we will take in some alpine riding amongst aspen and pines as we circumnavigate Navajo Lake. We’ll enjoy a lakeside lunch and head up to Cedar Breaks National Monument for some sightseeing. Then it’s a rip-roaring good time as you descend from Brianhead Peak 11,000ft to the fishing village of Panguitch. We’ll grab dinner at a great secret restaurant on the drive back. On our final day, we will head to beautiful Snow Canyon State Park and take in a day of rock climbing. This place is great and houses routes that can fit anybody’s climbing abilities. We’ll settle in below a towering wall of sandstone, kick off our flatlander shoes, and gear up with harnesses, rock slippers and other shiny paraphernalia required to enter the vertical realm. We’ll teach you the basics of climbing and dispel the myths that make people think of this sport as simply nuts! **The activities that make up this trip are all moderately strenuous. A good cardiovascular condition is certainly helpful. If you are questioning your physical fitness please give us a call-we’ll help you evaluate if this trip is right for you. **All activities are subject to change should we feel that conditions, weather, safety hazards or any other unforeseen factor could influence the trip in a negative manner. We have a couple of different itineraries we use to accommodate necessary logistical changes.